Contract Vehicles - Patricio Enterprises, Inc.
PE has provided unmatched support to our federal customers since our founding in 2005. Our participation on these vehicles gives agencies direct access to these first-rate services. SeaPort-e® is the Navy’s electronic platform for acquiring support services in 22 functional areas including Engineering, Financial Management, and Program Management. The Navy Systems Commands (NAVSEA, NAVAIR, SPAWAR, NAVFAC, and NAVSUP), the Office of Naval Research, Military Sealift Command, and the United States Marine Corps compete their service requirements amongst 2400+ IDIQ multiple award contract holders. All task orders are competitively solicited, awarded and managed using the Sea-Port-e® platform. SeaPort Next Generation (SeaPort-NxG) is the Navy Department’s electronic platform for acquiring support services in 23 separate areas that include engineering, financial management, and program management. This portal provides an efficient means of soliciting offers from thousands of multiple award contract (MAC) holders-large and small businesses and their pre-approved team members. Task orders are competitively solicited, awarded and managed using this platform. General Services Administration (GSA) provides centralized procurement for the federal government, offering billions of dollars’ worth of products, services, and facilities that federal agencies need to serve the public. GSA’s acquisition solutions supply federal purchasers with cost-effective high-quality products and services from commercial vendors. GSA helps federal agencies build and acquire office space, products and other workspace services, and oversees the preservation of historic federal properties. Its policies covering travel, property and management practices promote efficient government operations. Joint Enterprise Omnibus Program Engineering & Technical Support (JE-OPETS) is a contract management office reporting to the Joint Program Executive Office for Chemical, Biological, Radiological and Nuclear Defense (JPEO-CBRND) Deputy Chief of Staff for Enterprise Resource Management, and was established to develop a single contract vehicle, with centralized management, to satisfy all recurring requirements for Program Management, Systems Engineering, and Technical Assistance support across the geographically dispersed JPEO-CBRND Enterprise, to include the Headquarters and its nine Joint Project Management Offices. Joint Enterprise Research, Development, Acquisition and Production/Procurement (JE-RDAP) is a multiple award, enterprise-wide omnibus IDIQ contract vehicle for Research, Development, Acquisition, and Production/Procurement (RDAP) task/delivery orders. 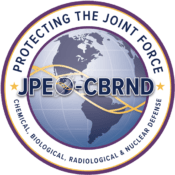 The JPEO-CBRND intends to utilize the JE-RDAP IDIQ contract to execute RDAP activities in order to provide the capability of CBRNE Defense Systems, Capabilities, Equipment, Supplies and Material; Radiological/Nuclear Defense Systems; and CBRNE Information Systems to the Warfighter. RDAP task/delivery orders will provide for future research, development, production/procurement, and fielding of CBRNE defense systems, equipment, and materiel. Joint Enterprise-Contract Logistics & Services Support (JE-CLaSS) is a Multiple Award (MA), enterprise-wide omnibus Indefinite Delivery Indefinite Quantity (IDIQ) contract vehicle providing a single, streamlined, quick response contract vehicle to satisfy all performance based logistics and sustainment (operations, maintenance, supply) requirements across the Chemical, Biological, Radiological, and Nuclear Enterprise. Better Buying Support Services (B2S2) Program Executive Office (PEO) Intelligence Electronic Warfare and Sensors (IEW&S) is a multiple award contract (MAC) vehicle to provide technical, acquisition, program management, logistical, financial and business support services in order to meet their mission requirements for Program Executive Office (PEO) Intelligence Electronic Warfare and Sensors (IEW&S). PEO IEW&S is made up of a team of five project managers dedicated to designing, delivering, and sustaining advanced technologies to give our Soldier the decisive edge. With offices located at Aberdeen Proving Ground, MD, Fort Belvoir, VA, Redstone Arsenal, AL and Los Angeles Air Force Base, the PEO for IEW&S leads a team of Soldiers, DoD Civilians and contractors in fielding systems that cover the gamut of military needs.